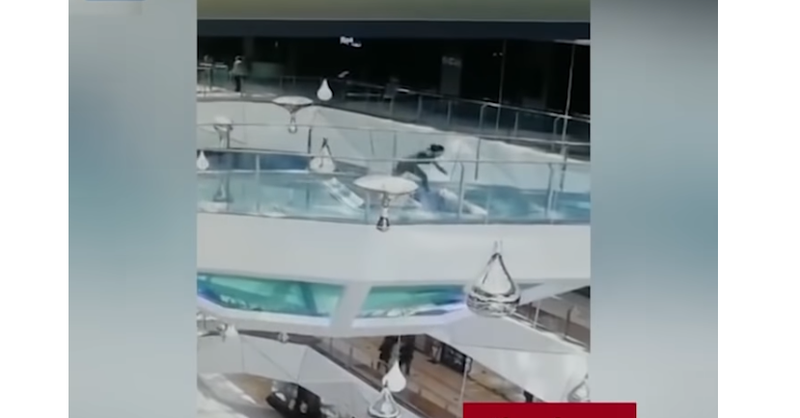 A woman working at Wuyue Plaza mall miscalculated her steps and found herself plunged deep into a shark tank. If you think you've had a rough week at work, spare a thought for this unfortunate Chinese woman. A woman rushing to a meeting at Wuyue Plaza in Zhejiang Province ran across a bridge and fell into an open shark tank. She had reportedly missed the announcement that the tank had been opened to feed the sharks. The woman hit her face on the floor before falling into a tank, where two sharks immediately began to circle her. Thankfully, bystanders and security guards acted quickly and pulled her out of the water. She did not sustain any major injuries. Hopefully her boss was merciful and excused her from any further meetings after this ordeal!